Digiturbo is going to release the Nendoroid Haru-chan action figure from the popular online web comic Haru-chan's Weather Trivia by NHK. 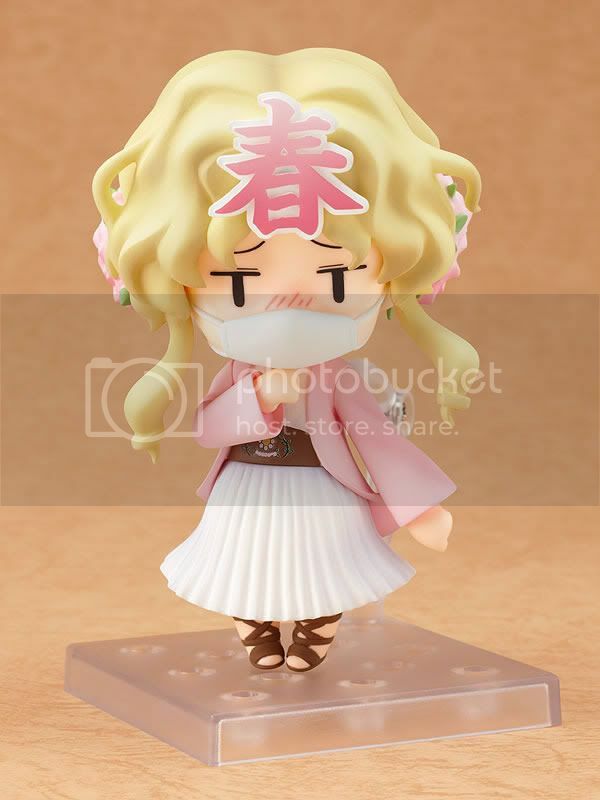 This figure is approximately 100mm in height and will be released in April 2011 around 3,619 yen. 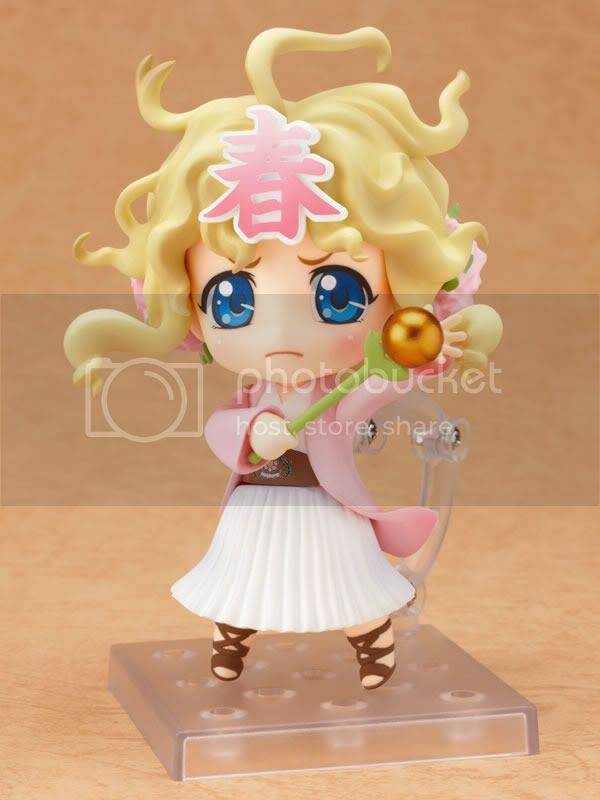 This Nendo really got everything that I ever wanted: charmness, cuteness, ugliness, and even the base with detail on it. Haru-chan is the Spring Goddess who has a long wavy hair. She got a lot of accessories, but the thing that I like the most is the Koinobori. The kanji on her head reads 'Haru' or "Spring' is of course included. 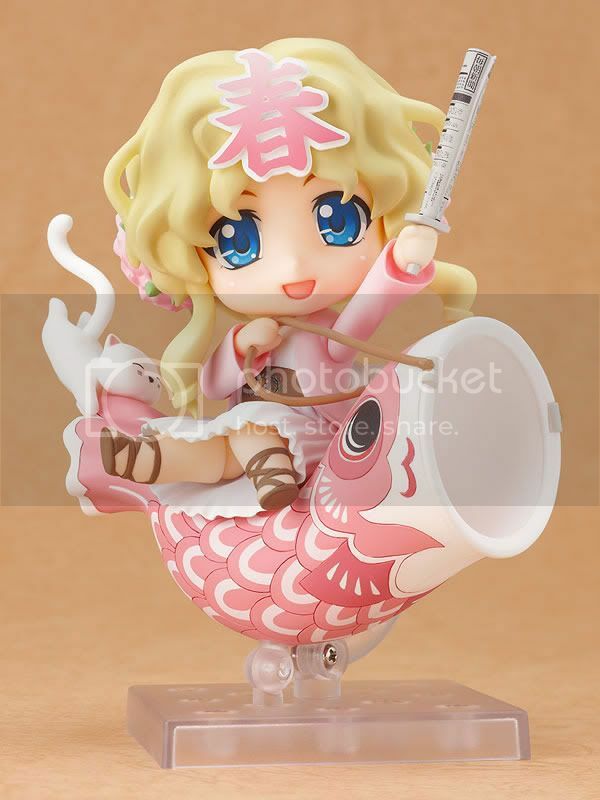 She also comes with a rolled-up newspaper sword, her pet white cat that is hanging onto a carp banner that Haru-chan can ride on, and even her two magical staves - "Sakura", which causes cherry blossoms to bloom, as well as "Ame yo Fure", which makes it rain! 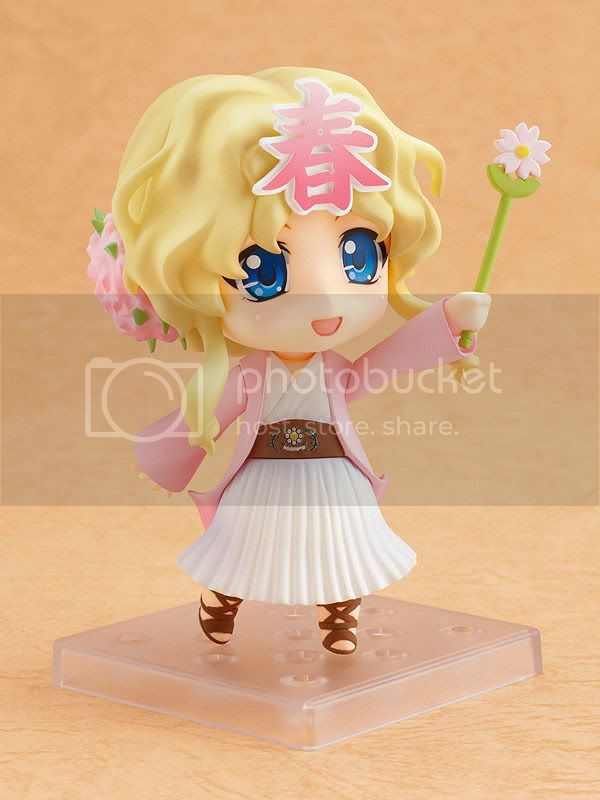 I think I'll get this Nendoroid Haru-chan!